If you still have warranty, you could get a replacement PSU, and if that doesn't fix the problem, a replacement mobo. supply "port"(where i plug in the cord) or is it a fualty mobo then? 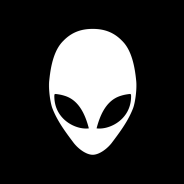 Can alienware x51 r3 support 32 GB RAM and gtx 1080 6gb video memory without any problems? Can the PowerSpeed ​​be upgraded to more than 330 watts?